Our Engineering/Development team works all phases of the manufacturing process. Starting with the development stage, our team works directly with your engineering group offering assistance from material selection, manufacturability, quality improvements and with the help from our estimating department ideas to reduce cost. We can read multiple CAD formats, both 2D and 3D. When possible we do our CNC programming and laser programming directly from the engineering model. This shortens the development time significantly and minimizes the chance of input errors. 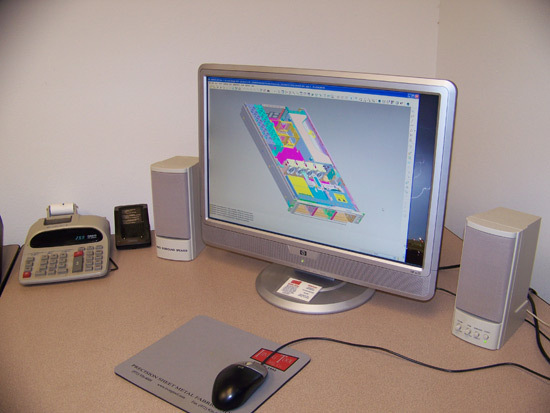 We are equipped with PTC’s Pro-Engineer, SolidWorks, Autodesk’s AutoCad, AP100, and LaserPro.